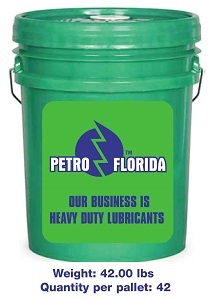 PETROFLO BRAND HEAVY DUTY SYNTHETIC EP 75W-90, EP 80W-140 AND CD-50 GEAR OILS are 100% Synthetic extreme pressure GL5 gear lubricants that are compounded with synthetic base-stock fluids. 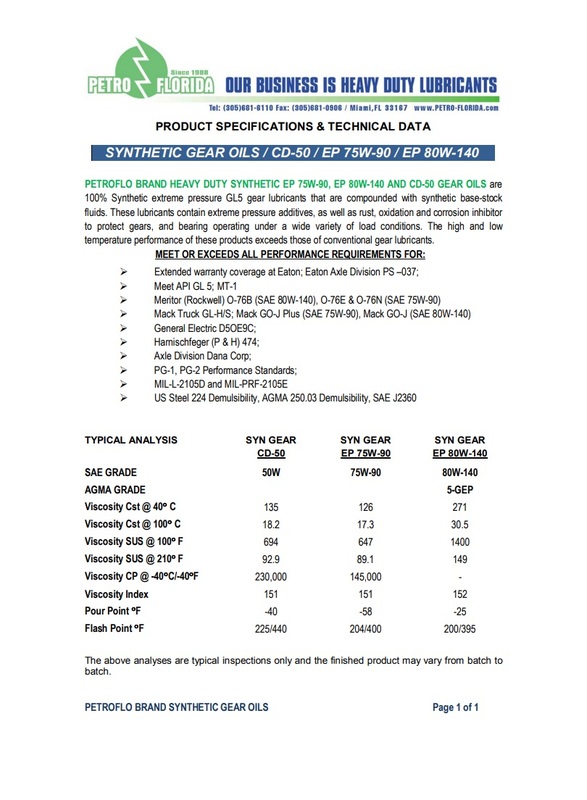 These lubricants contain extreme pressure additives, as well as rust, oxidation and corrosion inhibitor to protect gears, and bearing operating under a wide variety of load conditions. The high and low temperature performance of these products exceeds those of conventional gear lubricants. Extended warranty coverage at Eaton; Eaton Axle Division PS –037. Meet API GL 5; MT-1. Meritor (Rockwell) O-76B (SAE 80W-140), O-76E & O-76N (SAE 75W-90). Mack Truck GL-H/S; Mack GO-J Plus (SAE 75W-90), Mack GO-J (SAE 80W-140). Harnischfeger (P & H) 474. US Steel 224 Demulsibility, AGMA 250.03 Demulsibility, SAE J2360.